I have fond memories of helping my step Mum make cakes – but never with sugar, she substituted with honey, and when we had finished the batter I was allowed to lick the spoon. This was the beginning of my obsession with experimenting in the kitchen. My childhood was rather alternative, ‘free-range’ even. Most of the time if I was hungry I had to make something for myself to eat, so this, combined with my creative and curious mind ended up with a lot of experimenting in the kitchen. I spent a lot time in the ocean and bush foraging, and as a result, native and wild grown fruits, flavours and seafood have a strong influence in my current cooking style. 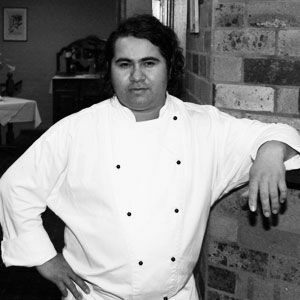 I started in commercial kitchens at the age of 16 after leaving school and starting off as a kitchen hand. I fell right into step, like I was meant to be there. I was comfortable in the environment and instantly started to feed off the energy of the operation. I was washing dishes for only two weeks before the head Chef saw my potential beyond the sink. He promoted me to dessert and pastry cook. I was in charge of the production and service of all desserts, as well as assisting in all other areas of preparation in the kitchen. I quickly learnt the systems for service and became a vital element of the establishment. With the urge to learn new techniques and refine my skills, I worked my way from one kitchen to another around the Sapphire Coast and snowy mountains regions. 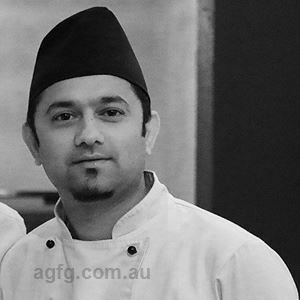 I trained under many great Head Chefs in varying capacities, learning different and ever evolving culinary styles and influences. 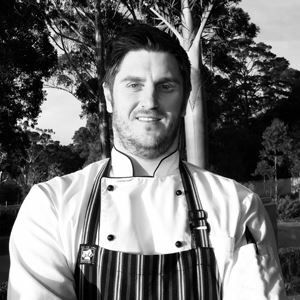 With this collected knowledge I have successfully managed a variety of establishments and have recently returned to the position of Head Chef at Wheelers in Merimbula. No not really, I never really imagined I would become a Chef as the skills I learnt as a kid were just necessary for day to day survival. I never for a moment thought that my early childhood skills and kitchen experimentation would take me to where I am today. Modern Australian inspired by flavours and fusions from around the world. I am very creative and expressive through my food. Curry leaf, native finger lime and bush tomato. Operating a well organised, efficient, spotless kitchen; and sourcing the best quality and local ingredients available. David Arens, Luke Mangan, Marco Pierre White and Heston Blumenthal. I love to be the voice and choreographer for the kitchen. The hype and high energy buzz of service build up, and the adrenaline rush of knowing that the pressure is on and finishing the service with so many satisfied diners. I love the personal satisfaction and worthiness I feel when I am catering to a group of guests in a one on one dining experience. 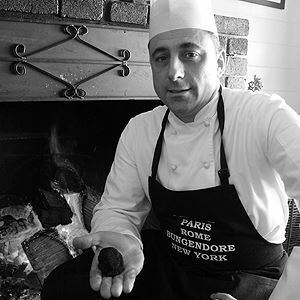 I am able to tailor to individual tastes, take a simple ingredient and do as much or as little to it to create a beautiful dish, from which people leave the table being so happy and impressed with the whole dining experience. Fresh herbs, garlic, aromatic spices, butter and sea salt. 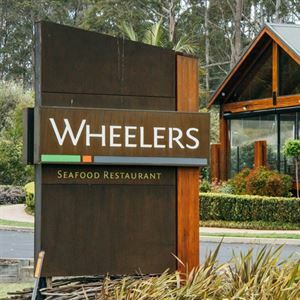 At the moment we are serving an impressive and locally sourced seafood platter – featuring Wheelers own Merimbula lake oysters, Sapphire Coast fish, banana prawns, mussels, squid, scallops and clams. The platter is a two-tier construction, the dish has a lot of visual and palatable wow factor! Seafood pasta, fresh Balmain bugs, fish, scallops, mussels and squid sautéed in garlic, chilli, torn herbs, olive oil and a hint of lemon. At home it’s all about Eastern style food. I just love to cook and eat light Asian stir fry and salads. There aren’t any rules to how I make them, I just get creative with what I can source form the veggie patch and pantry.